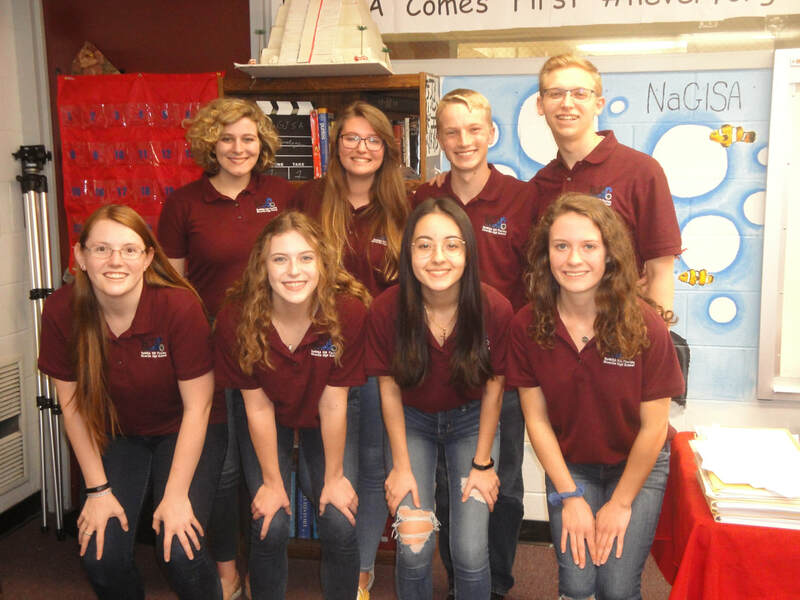 The Niceville High School NaGISA program is completely student run. From organizing collections to management of the program, the NaGISA Externs are the leaders of the NaGISA Team. The Externs are composed of sophomores, juniors, and seniors who have already completed at least one year of a gifted class. Any gifted student hoping to become a NaGISA Extern fills out and submits an application, and the current Externs select the next year's Externs from among the applicants. Only the positions vacated by graduating seniors will be filled. Once a NaGISA Extern, always a NaGISA Extern. The Externs work together on much of the activities, but they each have specific responsibilities. The current Externs, along with their responsibilities, are listed below.